The "Weeping Nazi" Surrenders On Felony Charges - Joe.My.God. A white nationalist whose behavior at the violent gatherings this month in Charlottesville, Va., brought him notoriety after he was featured in a widely viewed documentary, has turned himself into the authorities in Virginia days after warrants were issued for his arrest. 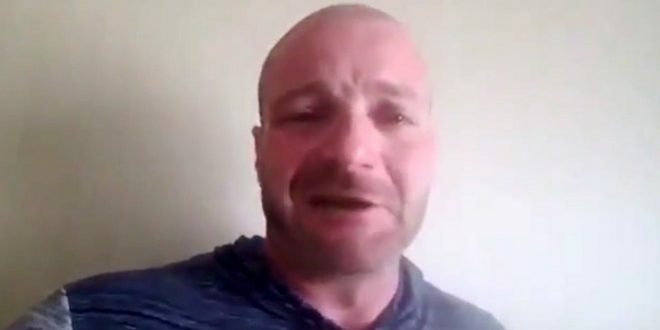 Earlier this week, the University of Virginia Police Department said the charges against the man, Christopher Cantwell, 36, included two felony counts of illegal use of tear gas, and one count of malicious bodily injury by means of a caustic substance. The police said the warrants stemmed from a torch-lit march on university grounds the night of Aug. 11; the demonstration preceded a large rally the next day in which a 32-year-old woman was killed after someone drove into a crowd.